The goal of LB Ratings is to simplify the process of weeding through the thousands of available investment options and gain the benefits of owning bonds with only a few well chosen bond funds. 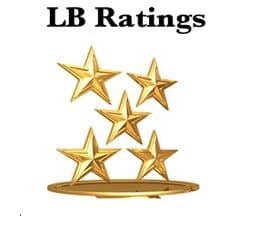 We have developed the LB Rating system for those that want to spend the minimum amount of time and effort in choosing a bond fund. Learn Bonds provides guidelines on what types of bond funds you should own, and how much of your portfolio should be allocated to them. Once you decide on what categories of funds that you want to own, then simply choose from our 4 or 5 star funds. To get started read the fund categories and asset allocation page of the LB Ratings user guide. Then, choose your fund or funds from our pre selected list. The LB Rating just gives the results. However, you can mirror the key elements of our process yourself. For an overview of the full process read the LB Ratings User Guide and the fund category/asset allocation guide. then read our guides on how to choose each type of fund to understand the performance, fees, manager tenure, and risk metrics that went into the LB Ratings for yourself. If you have questions along the way we are here to help. Feel free to leave a comment on this or any of the other pages here at Learn Bonds. Should You Invest in World Bond Funds? Bonds vs. Bond Funds: Can You Have the Best of Both Worlds?